Not all marketing plans are created alike. A company’s customer base, ideal audience, and competition all impact marketing strategies and results. What many small law firms don’t realize, though, is how much their local area can affect their plans. Large law firms that have national reach can afford to create broad campaigns that apply to people across the country. When it comes to small law firm marketing, however, staying close to home can be a huge help. Local search engine optimization, or SEO, uses information about the specific geographic area surrounding your law firm to drive residents to your business. It’s the ideal strategy for small law firms that are looking to expand. Here’s how a law firm marketing agency can use local SEO to boost your business. Keywords are an important part of any SEO strategy. They can be inserted into the content of your website, as well as the titles and meta descriptions of each one. Keywords help search engines find your website more easily. When a web user types a phrase into a search bar, the engine collects web pages that contain similar words and displays them on the results page. To ensure that your web pages are shown to potential clients within your region, it’s important to use keywords like the name of your city or geographic area, as this is what people will likely search for when they want to hire a local law firm. When your web page is displayed on a list of search results, web users will see the title and meta description, which helps them understand what they will find on the page when they click the link. Including local keywords in this information quickly tells them that your law firm is located in the right area. It also helps further boost your rankings. A high rank is important because most web users consider the highest-ranked sites to be the most trustworthy and relevant. Most SEO strategies are therefore designed to help sites rank as high as possible. Your law firm’s website should be full of informative content about your services, frequently-asked questions, biographies of your attorneys, and information about the legal industry. This content shows readers that your law firm has a great deal of expertise and helps them become familiar with how your firm handles cases. For small law firm marketing, connecting that content to the local landscape is important. Each city in which you operate should have its own landing page describing your law firm’s involvement in the community, a map with contact information for your offices, and the services you provide at each office, if they differ. For firms with just one office, the same information applies. Anchoring your content to your location by using relevant keywords increases the likelihood that people in your area will find your website and shows that your firm is committed to serving people within that area, providing them with personalized attention. Your law firm’s name, address, phone number, and website should be listed prominently throughout the web. These listings, called online citations, tell people where to find your firm and how to get in touch. They can be found on your own website, in online directories like Yelp, and in blog posts and articles. It’s important to ensure that your citations are accurate and consistent across all mentions. Inaccurate citations lead to confusion and a lack of trust. Potential clients will likely not have a high opinion of your law firm if it is difficult to call the correct number or find the right address. Search engines also consider consistency and accuracy to be hallmarks of credibility, so having the right citations can help increase those ever-important rankings. Periodically check your citations to ensure that they’re accurate, and get in touch with a site’s administrator to fix any errors found. Reviews can be intimidating. While a positive one can be a wonderful thing, even slightly negative reviews may cause concern. Despite the worry, managing your online reviews is a key component of local law firm marketing. Reviews not only tell what other people think of your law firm — they also show how your law firm handles itself. By responding to negative reviews in a professional manner, you can show people that your firm is still a trustworthy organization. Search engines tend to rank sites higher if they have a number of credible, high-quality reviews, so encouraging clients to leave reviews regardless of their experience can only help. Small law firm marketing is difficult to do on your own. The good news is that by collecting backlinks, you don’t have to do it all. Backlinks are links to your site that are placed on external websites. These direct people to your site for more information and can provide a credibility boost, since they’re likely coming from a trusted source. Backlinks can indicate a site’s popularity to search engines and also show that the site is relevant to certain keywords. 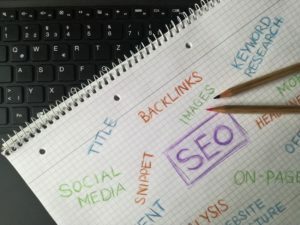 Search engine algorithms can tell when a firm has simply posted links in as many places as possible, so it’s best to build these up over time. Consider posting guest blogs, listing your site in directories, or asking other writers to link to your site when possible. Speak to a law firm marketing agency for more information and to schedule a free law firm marketing consultation. 321 Web Marketing can help small law firms develop marketing plans that are customized to meet their needs. 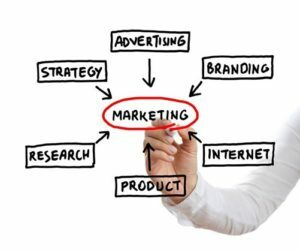 The agency researches each client’s geographic area, competition, ideal audience, and more to determine the most effective strategies for their marketing efforts. Then, 321 Web Marketing launches the campaign and monitors its results, making changes as necessary to ensure its success. The agency aims to provide clients with a steady stream of qualified leads within six months of launching a new campaign, helping small law firms see results from their investment as quickly as possible.